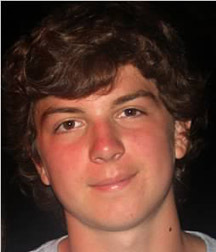 Evan Kielmeyer is a 10th grade student at Smithtown High School West in Smithtown, NY. Evan is a member of the English Honor Society and is Vice President of The Red Cross Club. Evan has been playing lacrosse for 10 years and plays defense for his high school team. Evan, along with his younger sister, founded a charitable organization called Stix Together. The organization collects new and used lacrosse equipment and donates it to teams in need. Since its inception in 2013, the organization has donated thousands of dollars worth of equipment. Evan believes that peace flourishes through compassionate engagement between cultures. He is an avid traveler who enjoys seeing the world through a myriad of perspectives. He will visit his 6th continent by the end of this year. He hopes to study philosophy and law after high school. Evan wishes to dedicate his essay to his teacher, Mrs. Christina Cone, who inspires her students to be advocates for human rights and guardians of peace. Since last year I have traveled to Indonesia, South Africa and Costa Rica for charity work. I wrote about my experiences in blogs which appear on my website “stixtogether.com“. I have also co-written a paper for my AP US History class which was selected to be presented at our district’s AP Conference. I took a class on Human Rights which was taught by Christina Cone who was the teacher who sponsored me for your contest last year. Writing for Peace has meant a lot to me as it was the first time I formally put my cultural experiences into an essay. I look forward to making writing a focal point of my college studies and hope to one day make a difference with my words. Copyright © 2014 Writing for Peace. All rights reserved.